"Her liver has been failing since she was 3-months-old. She falls sick regularly and we have been running to hospitals for many years. 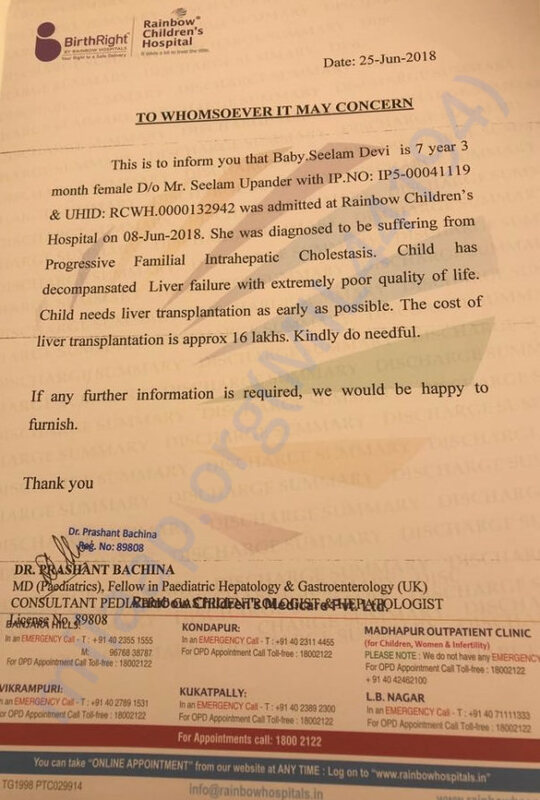 Now her condition is very critical and we can't even afford to take her to a hospital, she is aware that she will not live without a liver transplant and she is crying continuously. How can I console her? I don't even the have strength to look at her eyes." Parvathi, Mother. 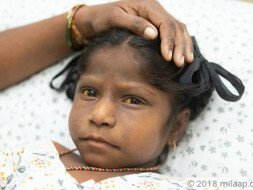 Her stomach is painfully swollen and her jaundice has reached up to 48%, her parents fear that they might lose their 7-year-old daughter any moment even before they take her to hospital. 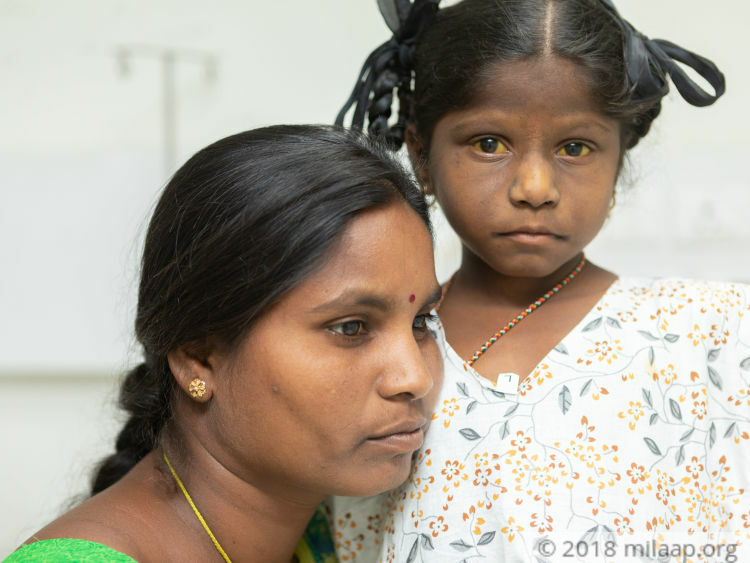 When Seelam suffered jaundice when she was just 3-months-old, they did not imagine that it would turn critical. She had a swelling in her stomach and severe diarrhea. She was taken to a hospital and doctors said that she has a liver disease. Since then, her life has been a battle and she has been surviving only on medicines depending on her parent's financial situation. But now, only a liver transplant can save her life. "I remember the first time she turned completely yellow, her stools were white. Her stomach was swollen twice her weight, I thought it would go away in few days, I never imagined that she has to live with it. We are not educated and we didn't even understand when the doctors explained, but I knew that her life is in danger." - Uppaiah. 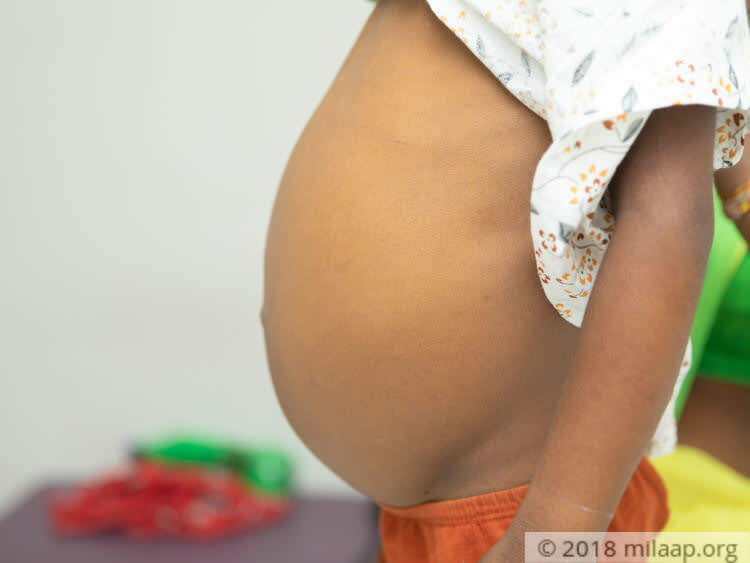 Seelam is diagnosed with Progressive Familial Intrahepatic Cholestasis, it is a disorder that causes progressive liver disease which leads to liver failure. In this condition, the liver cells are hardly able to secrete a digestive fluid called bile, which is critical for digestion and absorption of fats. "She‘s always tired, despite being an intelligent student she is forced to miss her classes because of extreme pain in her stomach. She even faints and every time we borrow money to take her to hospital. There were times when we have skipped food to buy her medicines. I can't bear that all our efforts and prayers have failed us." - Parvathi. 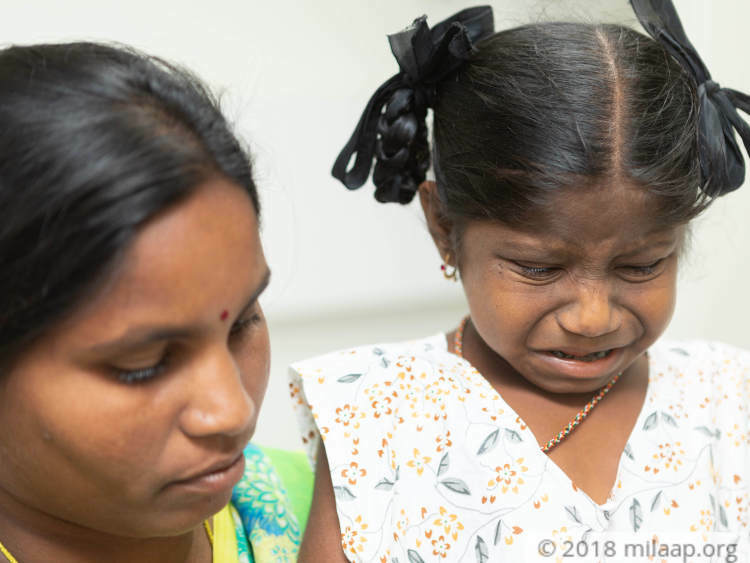 When they were struggling to even buy medicines for her pain, Seelam's condition became very critical, she couldn't eat anything and couldn't sleep. She was in constant pain. When her parents rushed to the hospital, she was immediately taken to ICU and she was there for 3 days. She was in general ward for 4 days. Doctors said that her condition has become critical and has decompensated liver failure, which means her liver function has deteriorated and the survival rate is very poor without an urgent liver transplant. 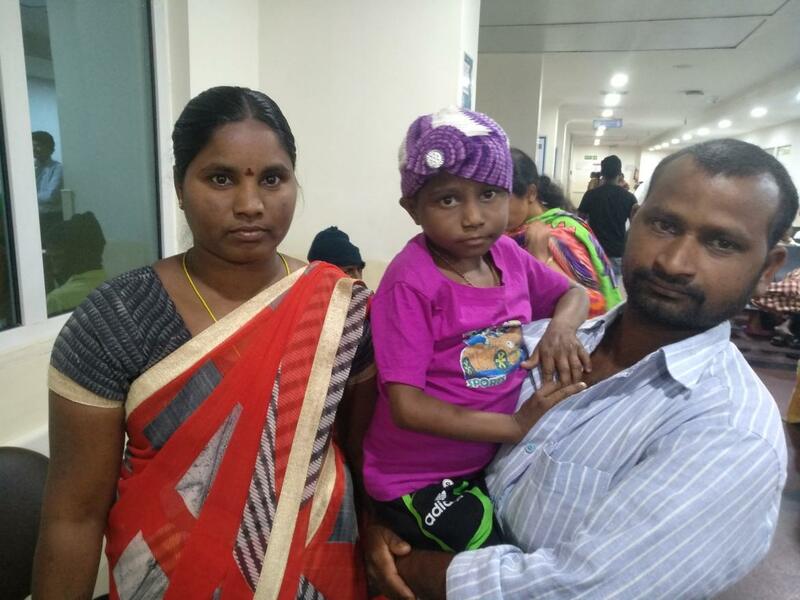 "Even after knowing that she cant survive without liver transplant we were forced to discharge from the hospital because we couldn't afford even to pay even for the general ward. My husband has gone back to the village to sell our house, it is a small house and we will not get more than a lakh or two. My daughter and I are staying in relative's house. She has not spoken a word since we came from the hospital. She is just 7 years old and I see the fear of death in her eyes. I feel miserable." - Parvathi. 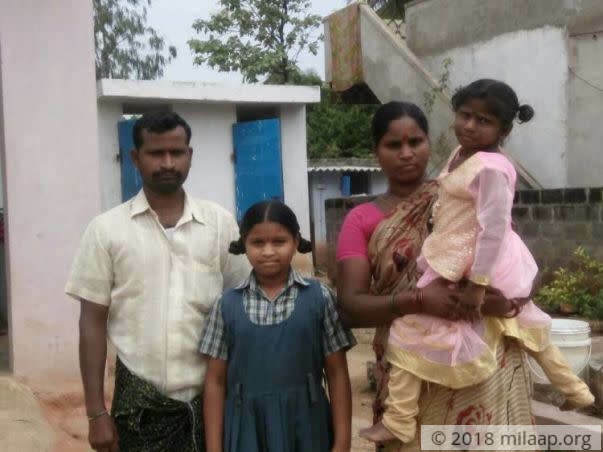 Parvathi and Uppaiah are daily wage workers and they earn 300 and 200 rupees respectively. 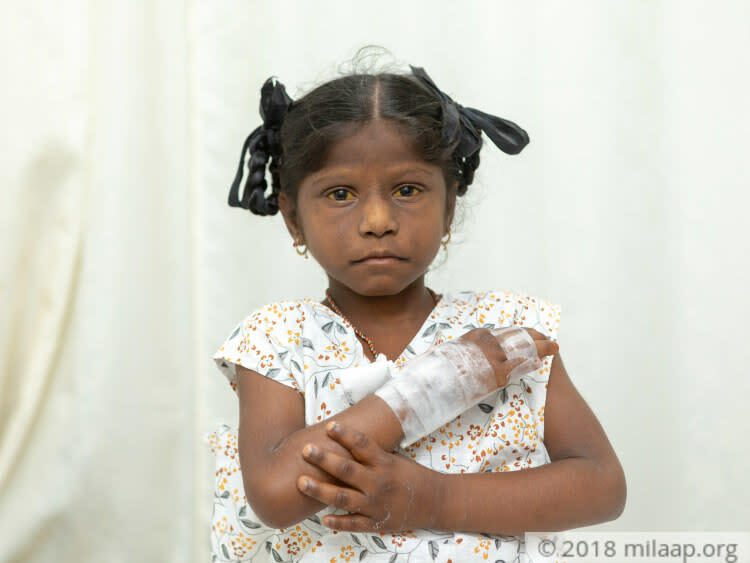 Seelam is waiting desperately for the liver transplant, while her parents are struggling to buy even medicines for her. Within a week they have spent Rs 50,000 and they are now left with nothing. They have even decided to sell their small house and to start everything from scratch yet they cannot afford her treatment. Seelam is literally running out of time and she will lose her life without your support.
" I have one more daughter, with no income and selling our house means we would have come to streets literally and start everything from scratch but we are willing to do anything to save her. Both of us are matching donors but we don't have that much money for transplant. My daughter is longing to live a normal life. please save her, our only hope is your support." - Uppaiah. Seelam Devi has been responding well to the treatment and coming for regular follow ups. 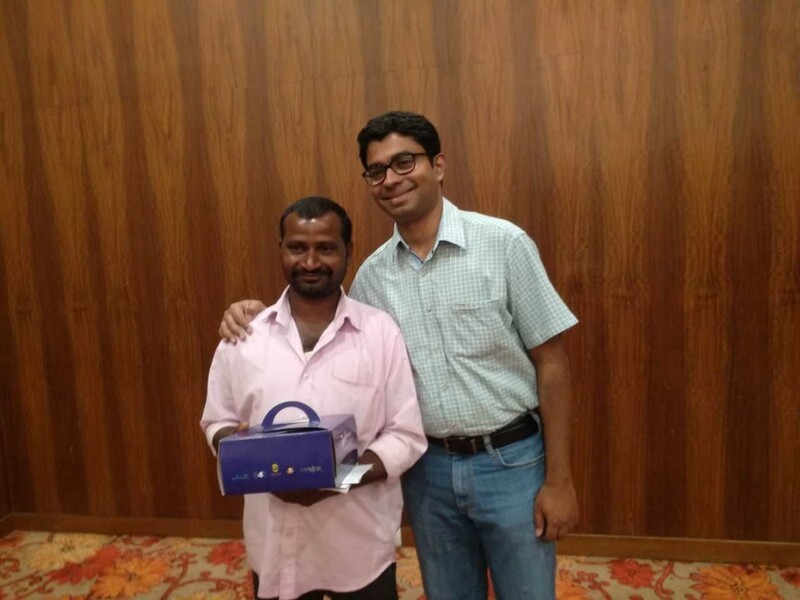 Today (07th March) is Seelam Devi's birthday and coincidentally, our co-founder Anoj happened to meet her father, Mr Uppaiah in Hyderabad. We conveyed our heartiest birthday wishes on behalf of all the donors who supported her. Seelamdevi is doing good. She is recovering and is responding well to the treatment. She visits hospital for her regular follow ups. Here is a recent picture of Seelamdevi. Thank you for the overwhelming love and support shown towards Seelamdevi. She is currently at home and is having complications from the surgery. She has been vomiting and is undergoing treatment for the same. The doctors are yet to decide the next course of treatment. We are extremely grateful for the support as we would not have made it this far without it.